New Delhi: The national capital may just set a record as the place with the highest number of cigarette smokers or so it seems. 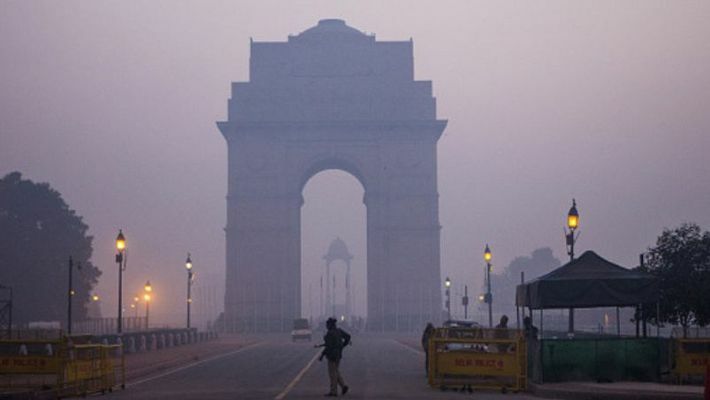 According to doctors, the level of air pollution in New Delhi is the same as smoking 15-20 cigarettes a day. "I have seen a change in the colour of lungs over the past 30 years that I have been operating. Earlier, I used to see black deposits only in smokers and others would have pink lungs. But, nowadays, I only see black lungs. Even teenagers have black spots on their lungs. This is frightening. With this unique installation, we hope to show people the reality of what's happening to their lungs," Dr Arvind Kumar, Chairman, Centre for Chest Surgery, Sir Ganga Ram Hospital told PTI. Dr Kumar is talking about an installation in Sir Ganga Ram hospital which shows lungs fitted with white Hepa Filters, which are turning black thanks to the Delhi air. This installation seeks to show the effect of pollution on human lungs. "The impact of air pollution on our health is evident. Yet both the Delhi government and the central government have failed the citizens. We need to take bold steps to course correct this deadly path India is on. In the name of development, industries are polluting without consequence. As citizens, we need to hold our representatives accountable for the environment. This election year citizens should say loud and clear: 'saans nahin toh vote nahin'," said Reecha Upadhyay, Campaigns Director, Help Delhi Breathe. Court orders FIR against Air India captain, Jt DGCA after 19 months, but who was protecting him?